Maelstrom Domesday is the new incarnation of Maelstrom, the classic RPG from 1984. This investigative adventure comes complete with abridged rules and pregenerated characters and contains almost everything you need to play Maelstrom Domesday. The adventure should take roughly 1-3 game sessions to play through and can be run with as many characters as desired. The miller in the village of Welburn has stopped grinding grain into flour, and Count Robert of Mortain will not be happy when he finds out. A motley band of investigators are sent to investigate the strange goings on in the new mill. Will they succeed? What is the secret? This adventure does not require the core Maesltrom Domesday rulebook to play, although the adventure can easily be played with the full version of the rules. 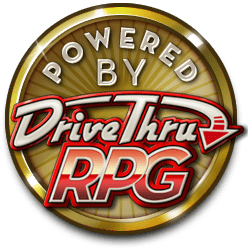 This product also includes a Module file for Fantasy Grounds, pre-loaded with all of the content from the adventure, to allow a fast start up! A nice little introduction game to Maelstrom: Domesday, made even better by being free! You do not need the core rulebook to play this game as it comes with pre-generated characters and explanations of the basic rules. If you have the core rulebook however you can create your own characters and play this with more detailed rules. Am I missing something? I can download a ZIP file with characters and a PDF for Welburn (unlabelled) but no actual Quickstart document. Thanks.